Working together as the Nuevo Pudahuel consortium, Aéroports de Paris (45% of the consortium through), VINCI Airports (40%) and Astaldi (15%) have been selected by the Chilean government as having presented the best offer for the concession of Arturo Merino Benítez International Airport in Santiago de Chile, South America’s 6th- largest airport which saw 16.1 million passengers in 2014, almost half of whom were international passengers. the operation and commercial development for the duration of the concession (20 years) of the main infrastructures: existing terminal and new terminals, car parks and future property developments. Augustin de Romanet, Chairman and CEO of Aéroports de Paris, declared: "The acquisition of this concession rewards the close collaboration between the teams from Aéroports de Paris, particularly our Aéroports de Paris Management and ADP Ingénierie subsidiaries, and our partners VINCI Airports and Alstadi. Santiago de Chile ranks among Latin America’s most dynamic regional hubs, with average annual growth in passenger traffic of +10% over the past 20 years. Xavier Huillard, chairman and CEO of VINCI, said: "Winning the Santiago de Chile Airport concession represents a major success for VINCI Airports which has worked hard and it's a great pround for our Group to win together with Aéroports de Paris, our first tender. Together with Aéroports de Paris and Astaldi, we had worked long and hard over a period of several months to put together the best possible proposition for the new concession, as much from the passenger's point of view as that of the authorities. We have very high ambitions for Arturo Merino Benitez Airport, and this project will now spearhead our airport strategy on the South American continent. Working jointly with Aéroports de Paris, our task will be to assist and encourage the development of passenger traffic whilst ensuring that standards of service are raised to the highest international standards. Stefano Cerri, CEO of Astaldi, added: "Winning this project is the result of the successful cooperation among Astaldi, ADP, and Vinci. It also represents a further important step towards the consolidation of our Group activities in the Chilean market and a statement of our commitment to the Country. 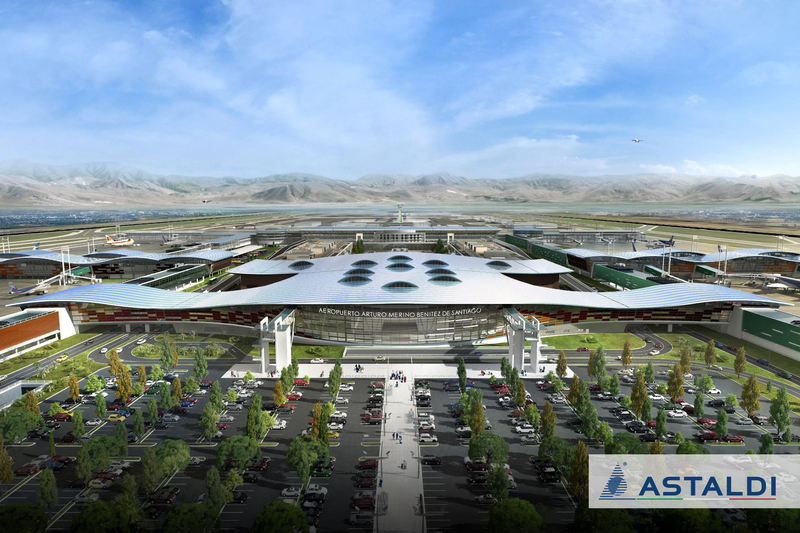 Astaldi ranked 6th worldwide in the construction of airports and it recently completed on time and on budget airport projects in Russia, Turkey, Romania and Poland. Together with our partners, we will deploy our technical skills and know-how for what we deem it will be a landmark infrastructure for Chile."